Manufacturer of a wide range of products which include steering bearing. 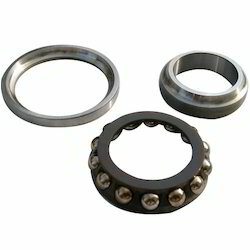 Owing to our modernized infrastructural unit, we are instrumental in offering Steering Bearing. This steering bearing has gained exceptional value in various industrial sectors for its optimum quality. Offered steering bearing is used for controlling relative motion between tow moving parts. Also, the provided steering bearing is available in various specifications as per the need of customers.